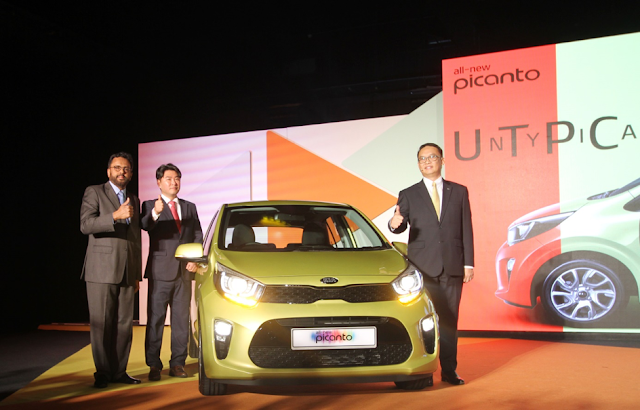 The all-new Kia Picanto, available in one trim offering, the 1.2 EX Automatic, was launched yesterday by Naza Kia Malaysia at the Malaysia International Trade and Exhibition Centre (MITEC). From left: Naza Corp group CEO (Automotive Group) Datuk Samson Anand, Kia Asia Regional HQ general manager Hong Mun Sun and Naza Kia Malaysia Sdn Bhd CEO Ivan Kuan. With a new innovative design, improved performance and a generous cabin, the All-New Picanto aims to give buyers another option in this segment by a world renowned brand. “The Malaysian automotive A-segment market is one of the most fiercely contested segments. 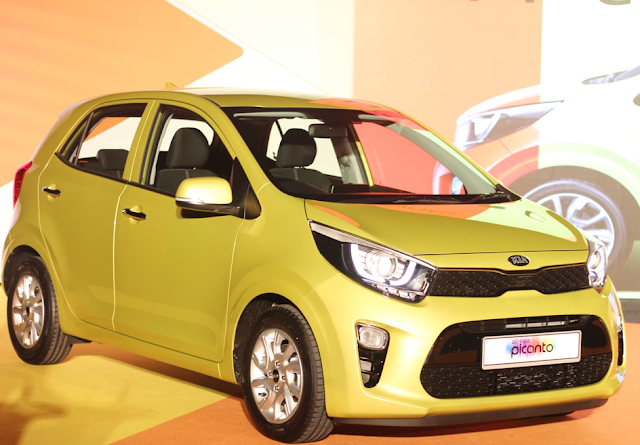 With the introduction of the All-New Kia Picanto, we hope to tap on this lucrative market segment and set the tone for our sales this year,” said Dato’ Samson Anand George, Group CEO, Automotive Group, Naza Corporation Holdings Sdn Bhd. With a youthful and energetic character, its open-link style radiator grille enhances its wide proportions to attain that modern sleek look. The mill on this Picanto is a 1.2-litre Kappa II four-cylinder engine paired to a four-speed automatic transmission, producing 84PS at 6,000rpm and 122Nm at 4,000rpm. Wheelbase has been extended to 2,400mm which is an increase of 15mm, and the wheels are pushed out to the corners to make the car look planted on the road. The bodyshell is cast in AHSS – Advance High Strength Steel – reducing body-in-white weight by 23kg while improving tensile strength by 12%. Inside you will be greeted by a large ‘floating’ 7.0-inch touchscreen at the centre of the dashboard. 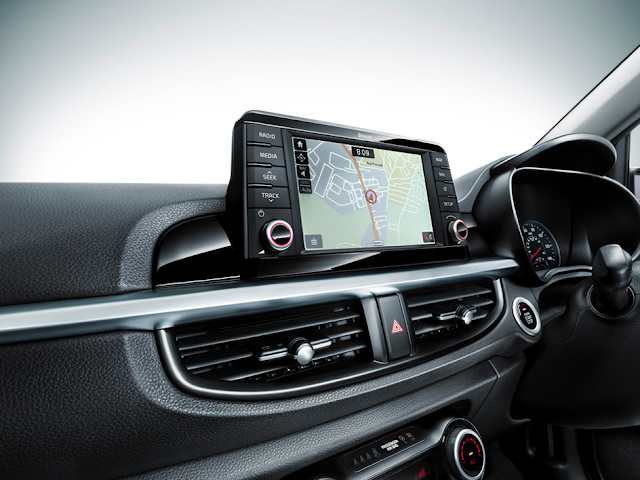 It houses a navigation system with 3D map, which connects to your smartphone and is integrated using Apple CarPlay or Android Auto with voice recognition features. Users can access their smartphone functions via the Head Unit’s user interface to get directions, make calls, receive messages and listen to music. Other multimedia features include an audio remote control, Bluetooth and AUX & USB ports. Seating is roomier as the seating height of the first row seats have been reduced by 10mm and moved backwards by 5mm to improve headroom by 3mm and legroom by 15mm. 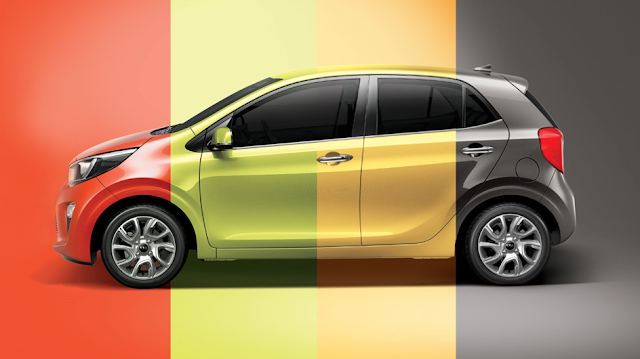 The All-New Kia Picanto is available in five different colours: Pop Orange, Lime Light, Honey Bee, Clear White and Titanium Silver. Additional features are six airbags, keyless entry, push start button, one touch triple turn signal, auto light control, RPAS (Rear Parking Assist System), electric folding side mirrors and safety power window on the driver’s side, ISOFIX baby seat mounts, rear seatbelt pretensioners and active safety systems like ABS and ESC. All the above plus a 5-year warranty and unlimited mileage for only RM49,888.00 (on the road price without insurance); it does really give rivals a run for their money.